Have you ever walked into a room and something just felt off? Sure, it’s well decorated and tidy enough, but for some reason it feels dark and even a little uninviting? It sounds woo-woo, I know, but it’s just as important to clean your home’s energy as it is to clean your home itself. Energy is one of those things that, even though it can’t be seen, it can definitely be felt. And without a good cleansing every now and then, your home (and maybe even your life) starts to feel stale and stagnant. 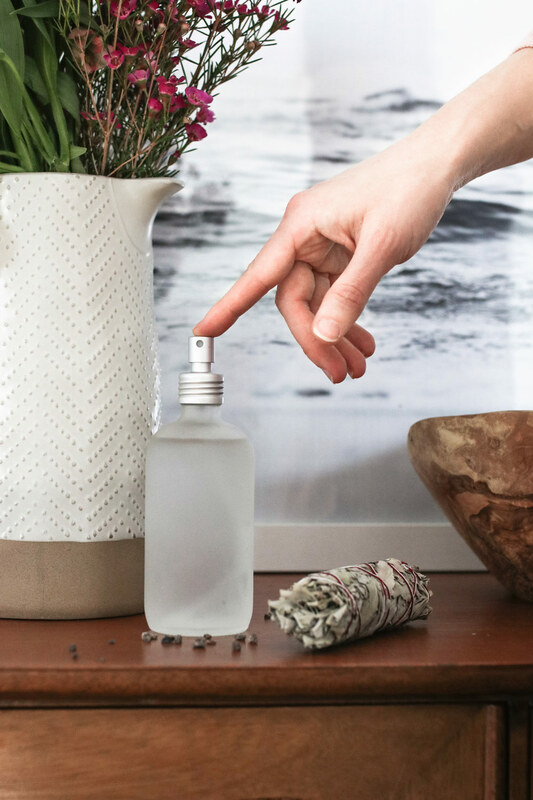 There are as many ways to clean your home’s energy as there are to clean your home, but my favorite is with this simple Palo Santo smudge spray. 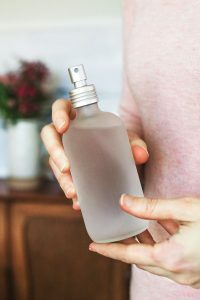 Spritz it in dark corners, on upholstery and carpets, and near entryways to purify the air and circulate pent up energy. Palo Santo is a plant that’s traditionally been used to combat negative energy and to cleanse objects and spaces. Oftentimes the wood is burned and the smoke is wafted through the air to clear negativity and bring good luck. But Palo Santo essential oil has many of the same purifying properties. 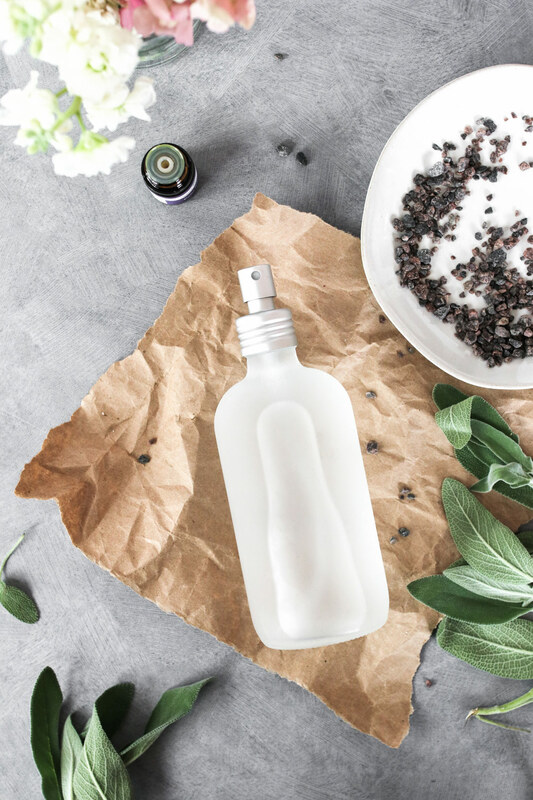 When combined with other energy-clearing ingredients like sea salt and white sage essential oil, you get a potent room refresher that acts as a smokeless alternative to traditional smudge sticks. But don’t stop there. Clearing bad juju from your home is a process better implemented slowly and kept up with over time. Here are a few other energy clearing tips you can use to cleanse your space and keep the good vibes flowing. Keeping windows locked tight traps both toxins and negative energy inside the home. If the weather allows, throw open some windows and let the breeze refresh your home and fill it with clean, positive energy. Plants don’t just filter toxins from the air, they also act as natural filters for negative energy. 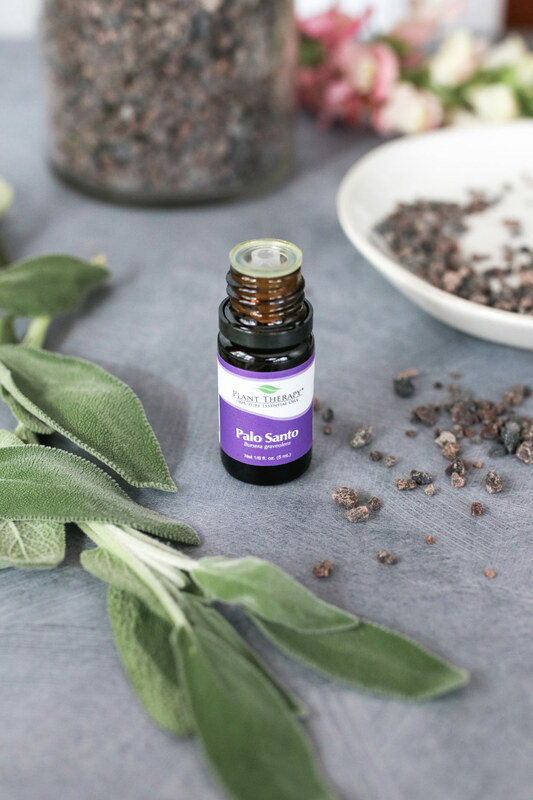 Plants release negative ions, which are said to help increase serotonin production and thus help alleviate depression, relieve stress, and boost our energy. I try to have at least one plant in every room of the house and multiple on rooms where I spend the most time (like the kitchen and bathroom). Salt has been used to cleanse negative energy for thousands of years. It’s said that the crystal structure of salt gives it the ability to absorb bad energy and trap it, allowing you to simply toss it out. Just sprinkle some natural, fine grained salt on carpet, upholstery, even wood floors. Let it sit for about hour then vacuum or sweep away. Alternatively, place small bowls of salt in corners of the room (remove after several hours) or use a Himalayan salt lamp to get the same effect. Some crystals such as black tourmaline and selenite are great at clearing negative energy. Stash several around your house or carry them with you while traveling to elevate your energy. Vacuuming works well to clean your home, but the act of sweeping with a broom creates a palpable energetic shift as energy begins to circulate. Don’t worry about carpeted floors – the bristles don’t even have to touch the ground. Simply sweep toward a door or open window to get rid of old energy and welcome in the new. In a small bowl, combine the warm water and sea salt. Stir until the salt has completely dissolved. Pour the salt water into an empty spray bottle. Add the remaining ingredients and shake well. Lightly spray the area, room or object that you would like to cleanse. You can also lightly spray yourself (always hold the spray from at least a foot away from the body) as well. I LOVE This! I burn Palo Santo often but sometimes the smoke can be a bit overwhelming. Thank you for this!